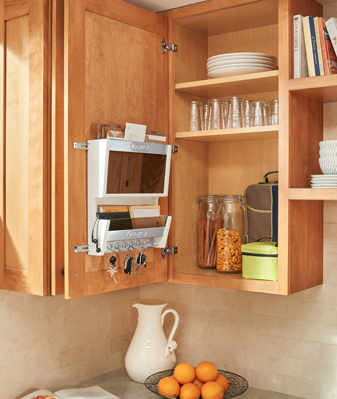 Last week we discussed new flip up door hardware, slides for pull out shelving and adding charging stations to your projects. Click here to read the full post. The Rev-A-Shelf booth was buzzing the entire show. 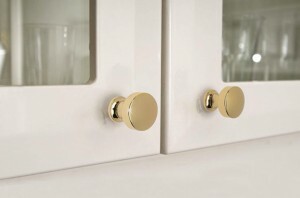 There was a constant flow of attendees rushing to see what was behind each cabinet door. One of my favorites was the Door Mounted Mail Organizer. The is a great addition to the “command center” of any home. I could see this being installed in a pantry or home office. 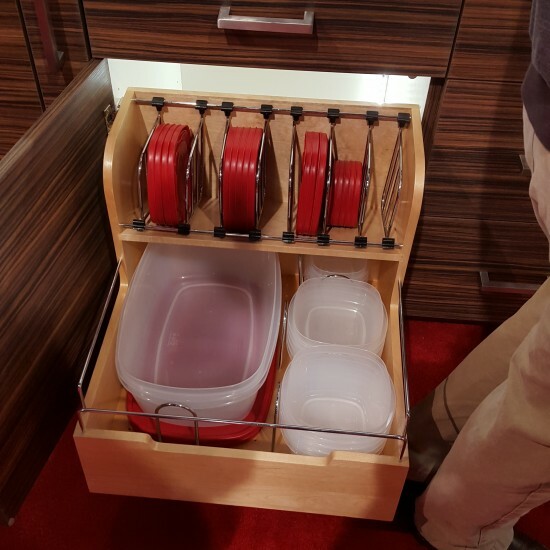 I have been noticing that more and more of my clients are adding pull out drawers to their customers kitchens – Thank you Shelf Genie… It makes sense, you are in the home anyway. 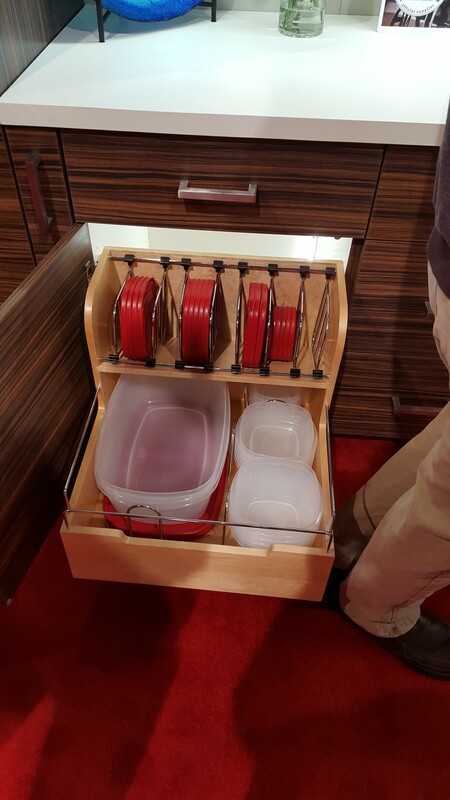 Rev-A-Shelf’s Tupperware Storage Pull Out is the type of product that you could add to a clients’ existing kitchen cabinets or include in your pantry design. I bet I’m not the only one constantly trying to find a matching lid and container – this would solve that problem. 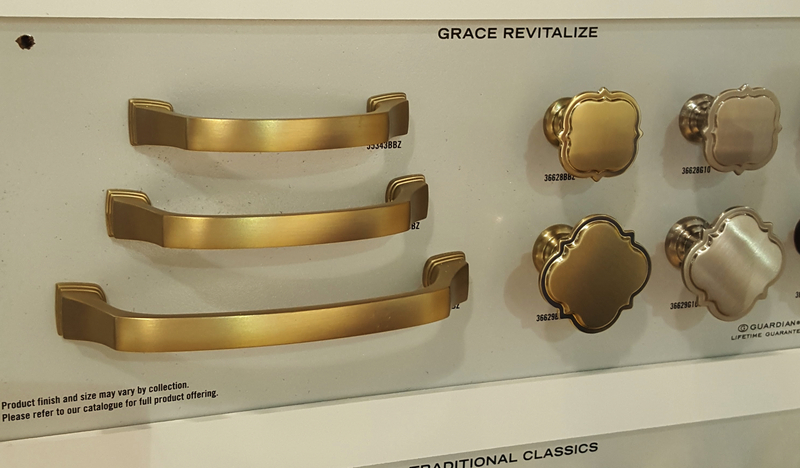 Your turn – what was the favorite trend that you saw at KBIS 2016? 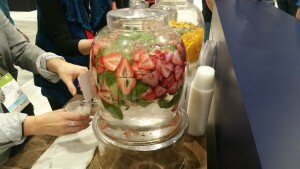 Going to KBIS Next Week? Last year the Kitchen and Bath show had over 500 exhibitors and more than 125,000 attendees. The energy that surrounds this show makes it one of my favorites. This is the Sexiest Show of the Year – Even the Water is Pretty. It’s Vegas – would you expect anything less? The exhibitors go all out, not only will you find the newest innovations and latest finishes to hit the market. Last year while in one of the booths there was a chef preparing and serving the best black cod I ever ate. 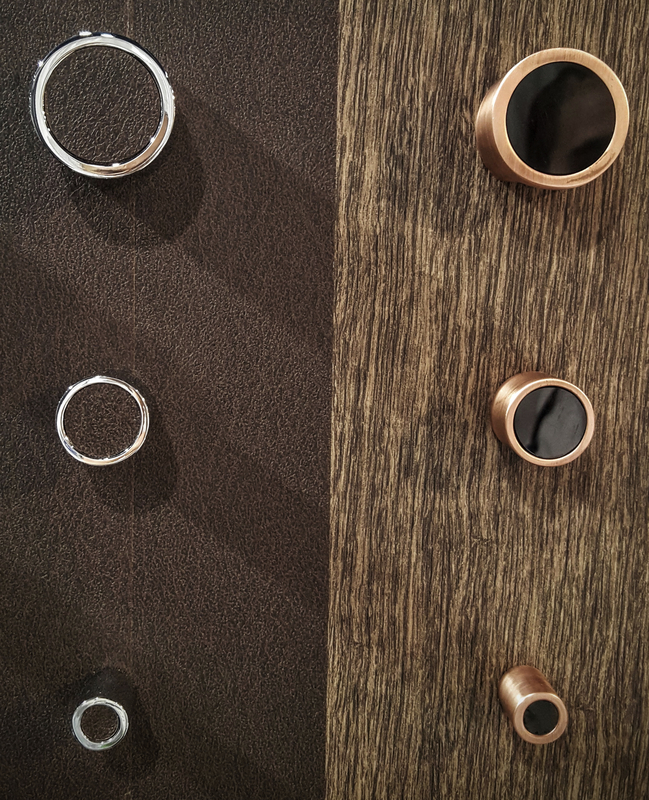 A Sneak Peak at KBIS 2016. While doing some early research I found a few products that I wanted to see in person. Rev-A-Shelf’s over the refrigerator pull out. 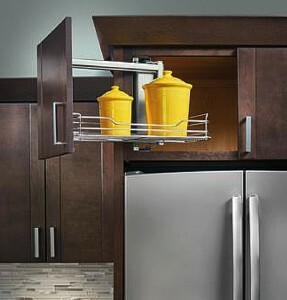 In many homes this cabinet is a black hole and access to the back is always a problem. It looks like Rev-A-Shelf came up with a great solution. 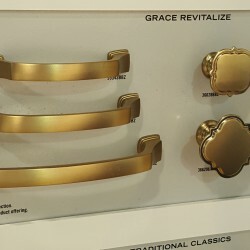 Atlas Hardware’s new French Gold finish. 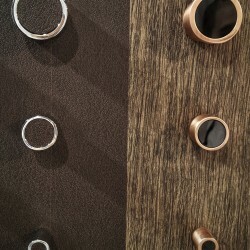 For years we have been seeing an uptick in the use of brass accents in women’s jewelry, handbags and clothing. 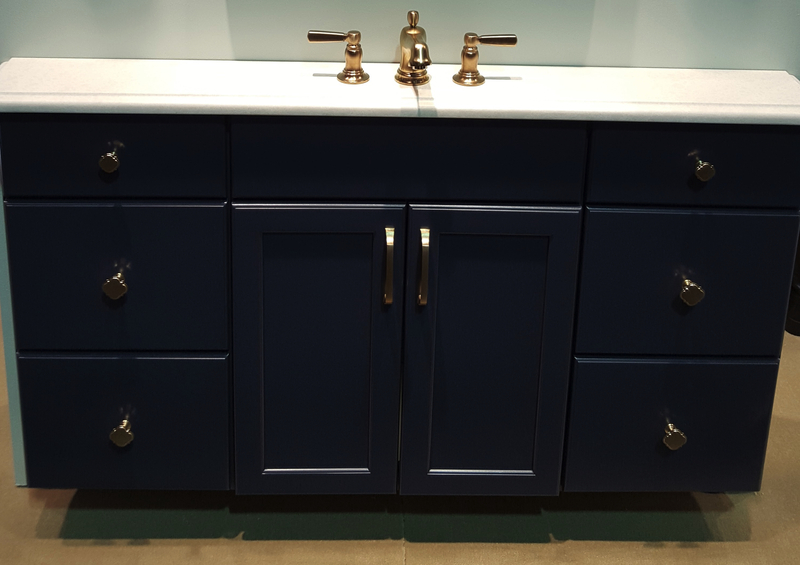 It has been creeping back into home decore and this finish could be one of the hot colors of the year. 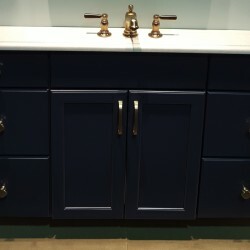 I think it matches great with the grey and white cabinetry people are using. 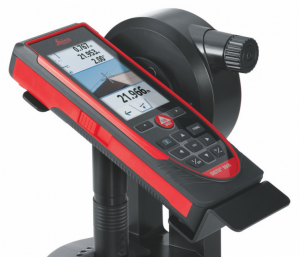 ETemplate Systems new 3D measuring system is fully compatible with most of the design software on the market. It sounds like it would save designers time and eliminate mistakes. Besides looking for new products I am also one of the Voices of the Industry. This is the third year that I am speaking on social media. Denise Butchko and I created a fun and informative presentation – “The CEO’s Guide to Social Media” – We are looking forward to teaching CEO’s how to measure social success and help them understand what they can and cannot outsource. 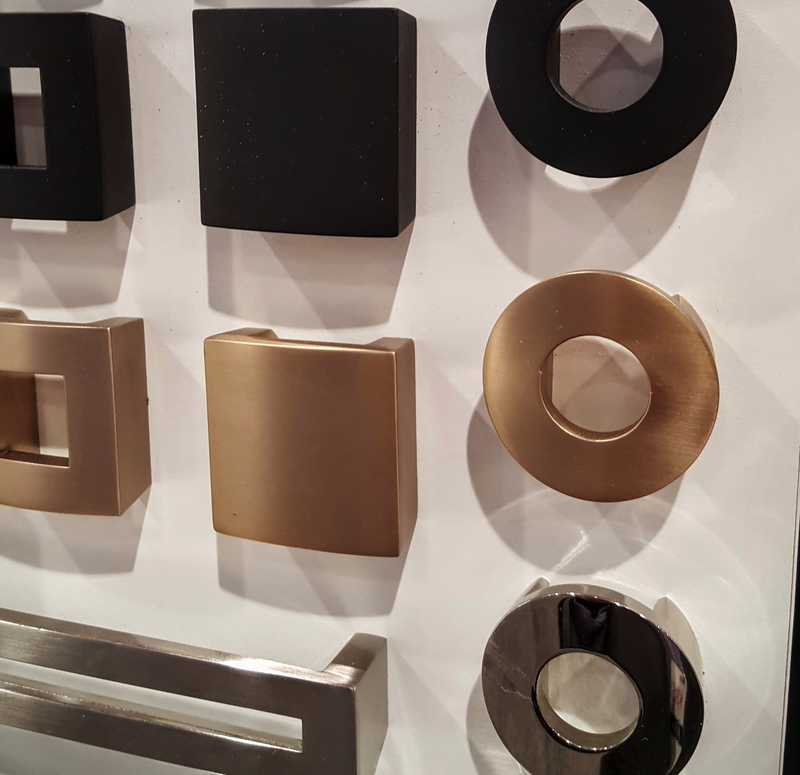 If you’re not attending KBIS 2016, keep an eye for my upcoming post about the hot new products. If you are going, I look forward to seeing you there!